This was definitely a long time coming. 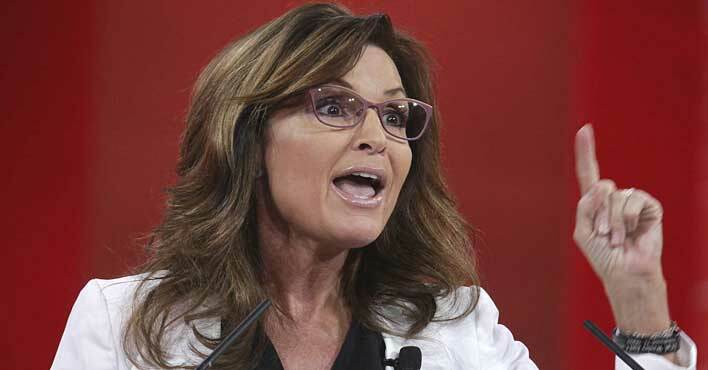 Sarah Palin is suing the New York Times for accusing her of prompting psychopath Jarod Loughner to attack Gabby Giffords. The theory has been debunked, but the damage was done and now they are facing the consequences of their intellectual laziness. Palin has decided to bring a libel suit against the media giant, hopefully teaching them and their left-wing buddies a lesson about taking their agenda too far. Jake Tapper tweeted about the lawsuit, including a picture of the document. The Times was reporting on the attempted assassination of Representative Steve Scalise by a crazed, left-wing Bernie Sanders supporter, but used the event to target Sarah Palin, reciting the baseless theory that her Congressional District map caused Loughner to shoot Giffords. Of course this is because there were cross hairs on the map and apparently this is a subliminal message to people to shoot their Representatives. But that’s not stopping Palin from discussing the matter with her lawyers. While I’m all for freedom of the press, (obviously) there is no excuse for leveling such a dangerous accusation at a public figure. Let’s hope they learn their lesson.